Brief Description: KAAD is working with partner countries in the regions mentioned below to provide scholarship opportunities to citizens who are interested in research. There are so-called Partner Committees in these countries and applications are channeled via them. Eligible Countries: Countries in Africa, EU/EEA, Non-EU/EEA, Asia, the Middle East or Latin America. To be taken at (country): Germany. There is also the possibility for Master-scholarships at local universities. Eligible Field of Study: There is no specific subject-preference. However, the selection board has often given preference to courses and subjects that they felt to be of significance for the home country of the applicant. This holds true especially for subjects of PhD-theses. There is therefore a certain leaning towards “development oriented” studies – this does however not mean that other fields (cultural, philosophic, linguistic, etc.) cannot be of significance for a country and are ruled out. About the Award: The KAAD Scholarship Program is addressed to post-graduates and to academics living in their home countries who already gained professional experience and who are interested in postgraduate studies (or research stays) in Germany. This program is administered by regional partner committees, staffed by university professors and church representatives. Normally documents are submitted to the committee of the applicant’s home country. KAAD’s mission is to give scholarships to Eligible and Brilliant Students. However, among the scholars, there are Protestant Christians, Orthodox Christians (especially from Africa) and Muslims. Catholic priests and religious people are eligible only in very rare cases. How to Apply: Interested graduates can fill an online questionnaire, which they find on the application webpage www.kaad-application.de. For detailed information about application requirements and procedures, we recommend to read the FAQs. 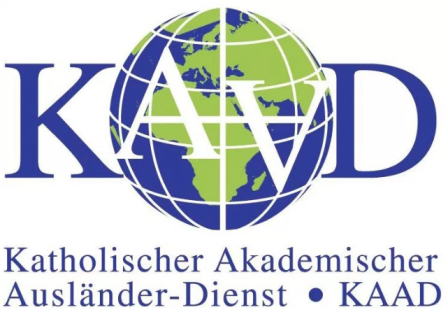 Now that all the information about KAAD Scholarship for Students from Developing Countries has been delivered nicely; talented students who are eager to pursue their Free Tuition/Scholarships/Study in Germany for Bachelors, Postgraduate, Masters, PhD, Associate Degree and Other Degrees, can apply now. Labels: Germany Scholarships, Master's Scholarship, PHD Scholarships, Post Graduate Scholarship, Scholarship. Wonderful! J'ai beaucoup apprécié car c'est une initiative à saluer.